What goals do you have for 2016? Goal setting is the mechanism that helps us attain something that we want to take place. Goals can be numerous in any given year – looking for a new job, releasing a new product line, improving your health, buying a new house, or numerous other things you want to achieve in 2016. Goal setting clarity – If we are clear about our goals we have a much greater chance of achieving them. Clarity is the special sauce that makes our goals tangible so that we absolutely know what we want to achieve and how we will achieve it. We’ll come back to this important aspect of goal setting below. Goal perseverance – Many times we clearly identify our goals but circumstances challenge our success. Goals challenge us to achieve something tangible that is beyond normal tasks and without perseverance we are prone to giving up. Perseverance gets the job done despite changing circumstances or obstacles. Achieving goals takes thought and ongoing effort. One of the biggest challenges to attaining goals is a lack of clarity. 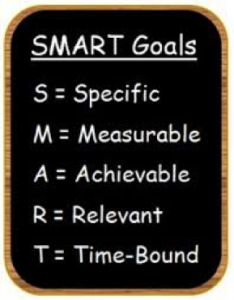 We have found that gaining goal clarity using the SMART formula works regardless of the size of your goal. A common framework to develop clarity and focus on your goals is to make your goals SMART – specific, measurable, attainable, relevant, and timely. Let’s discuss what each means. In our last blog we discussed three levels of planning to consider as you think about what you want to achieve in 2016. This week we look specifically at goal setting, a critical part of planning for the new year. Specific. Goals should be specific and understandable. For example, a goal such as, “I will improve my leadership skills” is not specific. In this case, what specifically do you need or want to improve in over the coming year? A more specific goal would be “I will do an assessment of my strengths and weaknesses in leadership competencies to gain clarity about needed improvements.” If you are setting a goal for your organization or team, it should inform people exactly what is expected, when, and how much. Measurable. Progress toward achieving goals must be measured on a regular basis to assess whether progress is being made. You can’t determine whether you are progressing toward the goals unless you measure your progress. 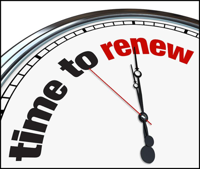 Your goals for the year should be reviewed monthly. Attainable. Everyone has a tendency to list lofty goals, often goals that are not attainable. Be honest with your capabilities, schedule, and level of commitment before you set off trying to achieve goals that you cannot attain. For example, consider if the following goal is attainable: “I will bring in over $200M in business this year for the company.” This is possibly attainable if you are an excellent sales and marketing person and all the variables come together. But, most likely this is not attainable under normal circumstances. Then, if you add additional goals that are not attainable, you have set yourself up for failure. A more attainable goal for the circumstance described above may be: “Given the upturn in the economy and the injection of over $1B into our local construction projects, I will use my network and proposal skills to achieve over $200M in sales. Relevant. Goals should be relevant to your business, your personal life, and your long-term aspirations. Focus on what has the most impact to your organization or yourself (if a personal goal). Do not spend time trying to achieve goals that are not meaningful to your professional or personal aspirations. For example, “I will develop over 500 connections on LinkedIn over the next 3 months” is likely not a relevant goal if you are seeking to achieve the number and not the quality of the relationships. Developing a relationship in LinkedIn with 20 people in your industry is much more relevant than connecting with over 500 people who are not relevant to your industry or your personal aspirations. Time-bound. When setting a goal, set a realistic schedule for completion. It should be an attainable schedule that is based on the importance of achieving the goal. Be realistic and consider your workload and personal needs to set a completion date. You may also want to schedule interim milestones that will give you an indication whether you are making progress toward the goal. Goals without deadlines tend to be overtaken by day-to-day events. The following are five sample goals. Ask yourself which are SMART and, if not, what would you do to improve the goal to be SMART. I will read 3 books each week related to my leadership position for the next year. I will be promoted from a manager to Vice President of Operations. I will gain 3 new customers for our new product line in the next six months. I will have some articles published in Engineering Journal. As the Team Leader, I will conduct weekly team meetings each Tuesday morning to discuss progress on the Caliper Wheels project. In the above examples, we feel only two of the goals are SMART – #3 and #5. Goal number 1 is likely not attainable. Goal number 2 is not timely and likely not attainable. Goal number 4 is not specific, likely not attainable and not timely. How does this match with your assessment of each goal? Goal setting is critical to success. But, they need to be SMART to ensure that you can focus on what is relevant and attainable, and can be accomplished according to a realistic schedule you assign. If goals are not SMART, they can backfire and demoralize team members (or yourself) and create a lack of confidence in the organization or team members. Goal setting clarity and ongoing perseverance are the 2 things that can help you reach your 2016 goals. Now, consider what you want to achieve in 2016 and get clear using the SMART goal setting formula and persevere as you are taking the necessary steps to attain your goals. Ben is a leadership and talent development thought leader. He has worked with executive teams in over 20 countries and multiple industries growing and inspiring talent and organizations to achieve their best.